TVNZ 1 will cut Sunday to only half-an-hour from April 22 so it can screen new episodes of Coast New Zealand from 8.00. 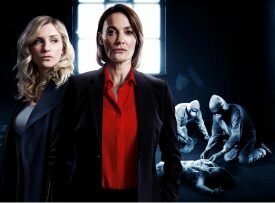 It anchors a new-look line-up that includes British crime drama Bancroft at 9.00 and Australian mystery Seven Types of Ambiguity at 10.05. Despite some impressive offerings, TVNZ 1 has struggled with its Sunday dramas this year. By starting them half-an-hour later, it will be hoping to stop viewers switching over to the 8.30 movies on TVNZ 2 or Three, banking on the top-rating Coast to keep its audience hooked until 9.00 — as it’s doing Fridays from April 20, when a new season of Call the Midwife will screen at 8.00 instead of the traditional 8.30. Then again, it could be simply a budgetary consideration, with not enough funding to sustain a year of hour-long Sundays. In any event, the Sunday/Coast combo will face formidable competition from TVNZ 2’s Survivor NZ, which returns April 22, and Three’s April 29 launch of Dancing With the Stars. Season three of Coast will explore the Chatham Islands, South Westland, North Otago, the Bay of Plenty, Kaipara and Wellington while Bancroft is a new series from the creator Mr Selfridge about a detective (Sarah Parish) with dark secrets. Bancroft earned lukewarm reviews in the UK. Said The Times: “The idea (spoiler alert) of a detective covering up her crimes isn’t, to be fair, a bad one and it is watchable, thanks largely to Parish and [Faye] Marsay. The Guardian thought Seven Types of Ambiguity, a six-part series about seven perspectives on what may be a child’s kidnapping, “a tame adaption of the book, but it retains some of its weight and substance” while The Australian dubbed it “a gripping psychological mystery”. 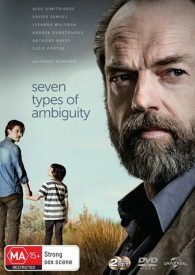 Seven Types of Ambiguity screened a year ago on the ABC and stars Hugo Weaving, Alex Dimitriades and Xavier Samuel.